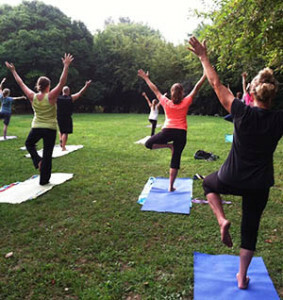 Vital Tree Yoga leads yoga classes every Saturday morning on the upper lawn of Flanagan Park (located on the corner or Front and Pine Streets in Marietta). Flanagan Park is also the home of Marietta Market, an open air farmers market that offers fresh local produce, meat, cheese, bread, prepared food, coffee, flowers and features various local artists through out the season. ALL classes are for ALL levels of experience. Saturdays from 9:00-10:00 am beginning May 23rd through September 26th (weather permitting). Classes are FREE although DONATIONS are accepted and will go towards Marietta Market.